A few weeks ago, we announced the launch of the Beta version of our new application Lengow for Zapier. We’re happy to announce the app is now available in Early Access from the Zapier search engine. Discover how our app can help manage your daily e-commerce activity. If you sell your products on marketplaces, it’s important to monitor your orders daily. To guarantee customer satisfaction, Lengow users can automate a certain number of tasks such as marketplace order management with the Lengow for Zapier app. This app informs you when an order has been made or updated on marketplaces (Amazon, Cdiscount, eBay, etc.) 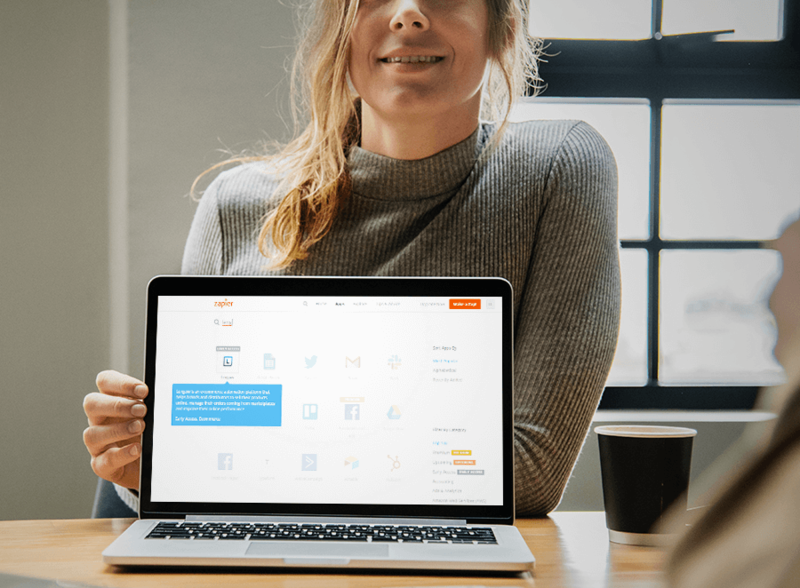 Once a purchase has been made, it automatically triggers an action that synchronises with the different tools you will have connected to Zapier. This will save you time and keep you informed about the progress of your orders in real time. Before downloading the Lengow for Zapier application, here are some examples of the workflow. For all new orders placed on a marketplace, a new line is added to your calculation sheet on Google Sheets, accompanied with other details such as products ordered, the buyer, and details to track delivery. Find out how to track your orders on Google Sheets. With mailing solutions like Mailchimp, ActiveCampaign, Mailjet or Sendinblue, add new subscribers to your mailing list and automate emails sent in relation to orders. Find out how to complete your mailing lists. Automatically receive a message on your Slack channel once a new order is made. Your employees can then follow in real time the orders placed from the marketplaces. Find out how to get notified about new orders on Slack. If you manage your customer support via Zendesk, add users to the platform and create accounts to quickly exchange with your new customers. With Salesforce, create a contact in your database as soon as a new customer purchases your products. Discover how to complete your CRM. You can automate invitations for customers to leave a review of your products right after their purchase if you use Verified Review or Trustpilot. With QuickBooks and Xerox, trigger invoice creation as soon as a new order is placed. To access the Lengow application, go to the Zapier integration page. Other automation scenarios running natively on Lengow are also available on our platform, to help monitor your e-commerce activity, your product information and your orders on a daily basis. Feel free to consult our workflow library!